A lesbian javelin thrower who won silver for South Africa on Thursday, has opened up about facing abuse at home for her sexual orientation. 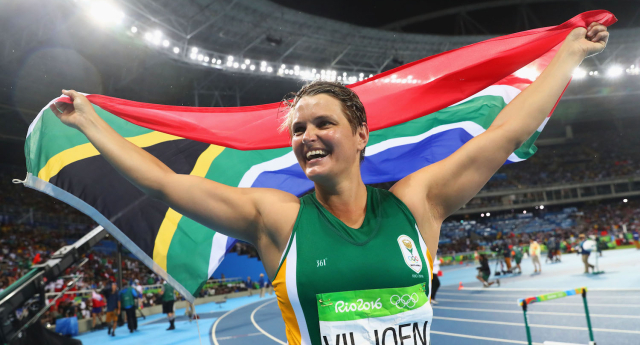 Sunette Viljoen won silver on Thursday with an impressive distance of 64.92 metres. She previously represented South Africa in the cricket world cup back in 2000, but she has recently opened up about rejection from her family for being gay. Viljoen wrote on Facebook earlier in the summer that her brother had hit her in the face during an argument over her sexual orientation. The 32-year-old also said her father had previously hit her, calling the situation “hell”. “It is a month before the Olympic Games and I know the Devil is trying to work through other people to make me take my eye off God and the finish line,” she wrote. Viljoen thanks her girlfriend LiMari Louw, a TV news presenter, for supporting her through after she placed fourth at London 2012.